The Chile de Arbol originates from Mexico and has an average heat from 15,000 to 40,000 Scoville units. Its name means "tree chili" in spanish as the plants have a tree-like growth with a small, woody trunk. 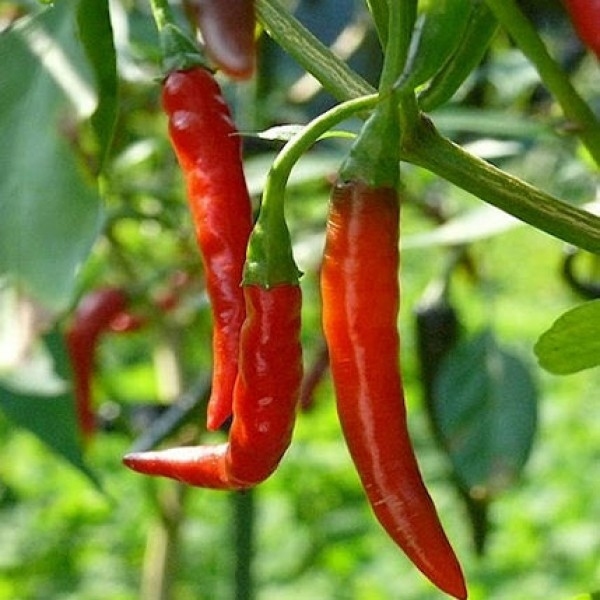 The chillies are similar to the Cayenne in terms of appearance and colour, but less spicy. They have a slightly smoky, grassy flavour that goes great with hearty dishes, stews, chili con carne and Barbecue sauces.